Thank you very much for the photos and for all the other information. 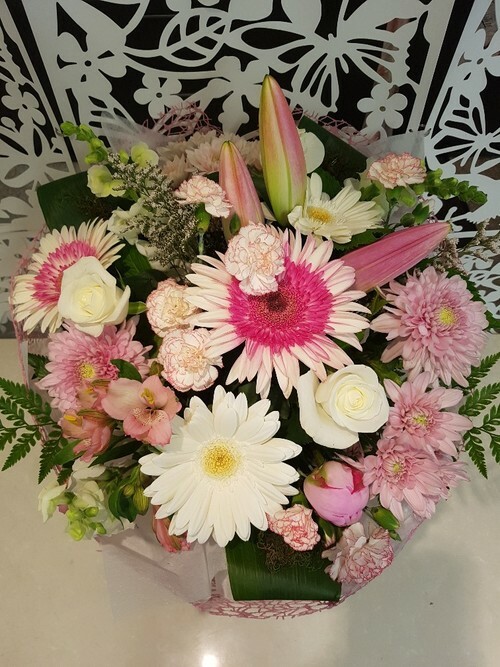 Best Blooms Florist provides excellent service and is totally reliable in terms of quality, value for money and friendly, efficient delivery. I have used Best Blooms on several occasions and I can order with total confidence, even though I am on the other side of the World. Welcome to the World that precious Newborn Baby! Choose from our range of baby gift ideas, and flower options to send to welcome the newborn baby. All our baby bouquets go out in a water-filled vox for long-lasting freshness and are super easy for the new mum to enjoy. You can add baby balloons and cuddly toys, chocolates and other baby gifts to create your own unique newborn gift basket. Buy online, or if you prefer to talk to our florists directly , then please call 09 838 9058. Newborn baby gifts can be sent directly to the maternity hospital or to welcome the family when they come home.